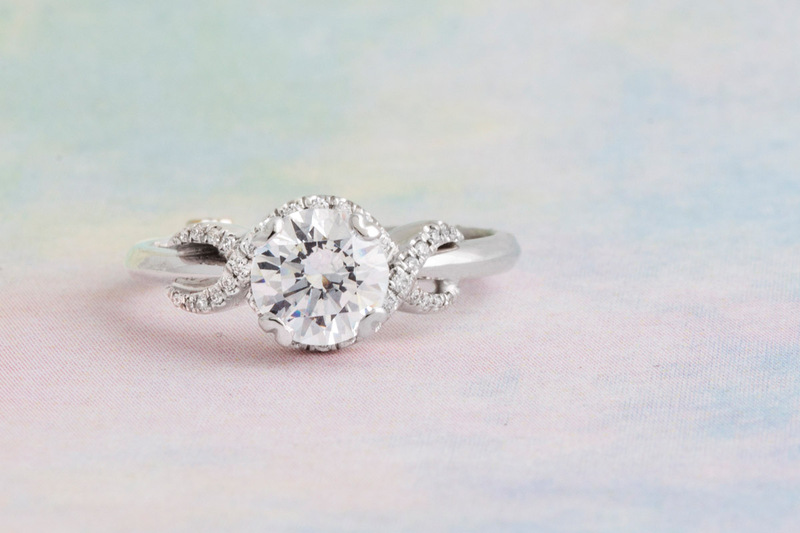 This gorgeous engagement ring has a round brilliant center stone, with a unique halo design, reminiscent of an infinity symbol. 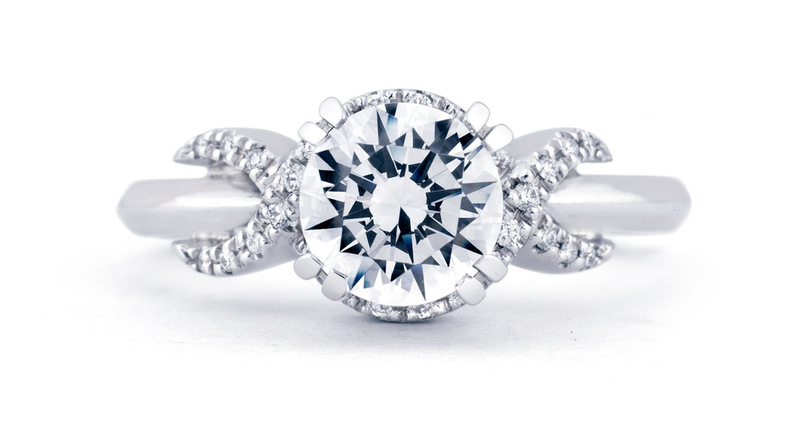 Glittering accent diamonds surround the center stone, and continue on either side to wrap around the shank in a crisscrossing pattern. 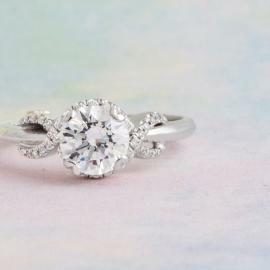 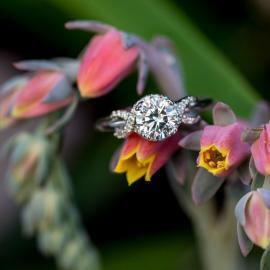 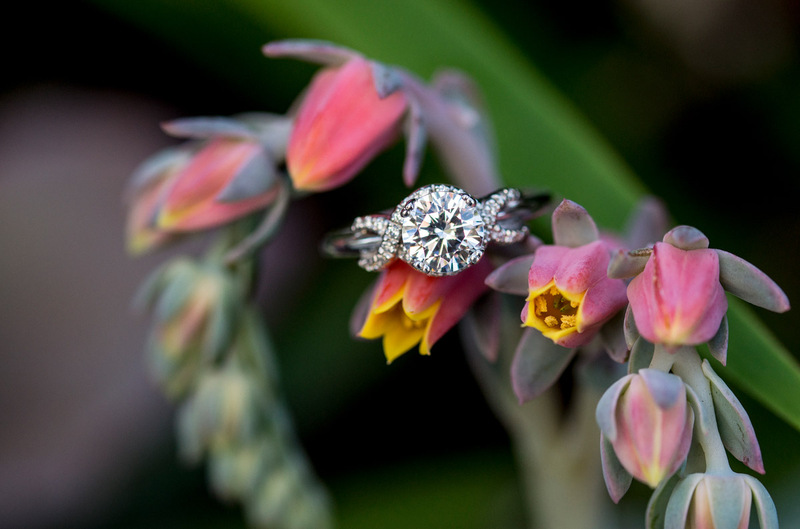 The shank is squared off on the bottom in a modern European style, and has a single round brilliant diamond accent in a “secret heart” bezel in one bottom corner. 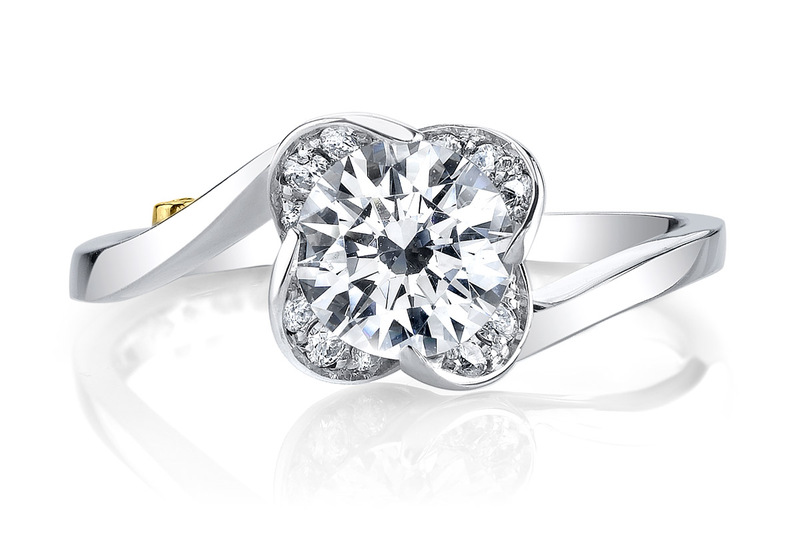 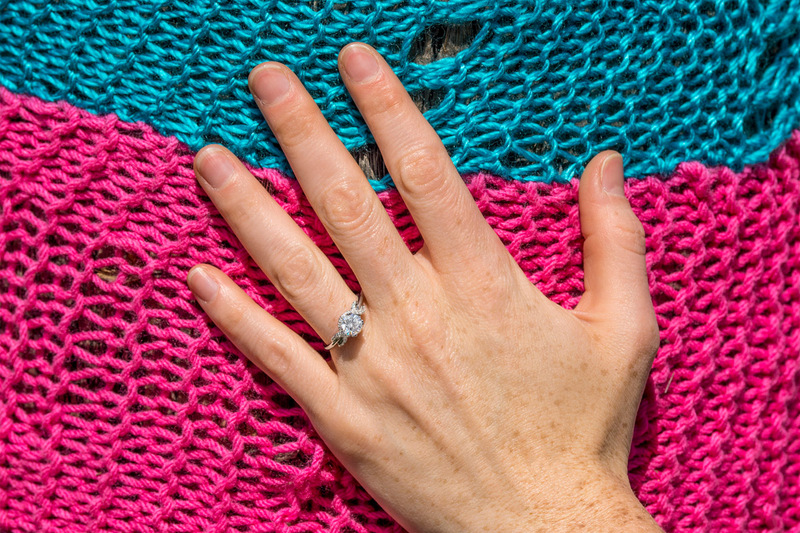 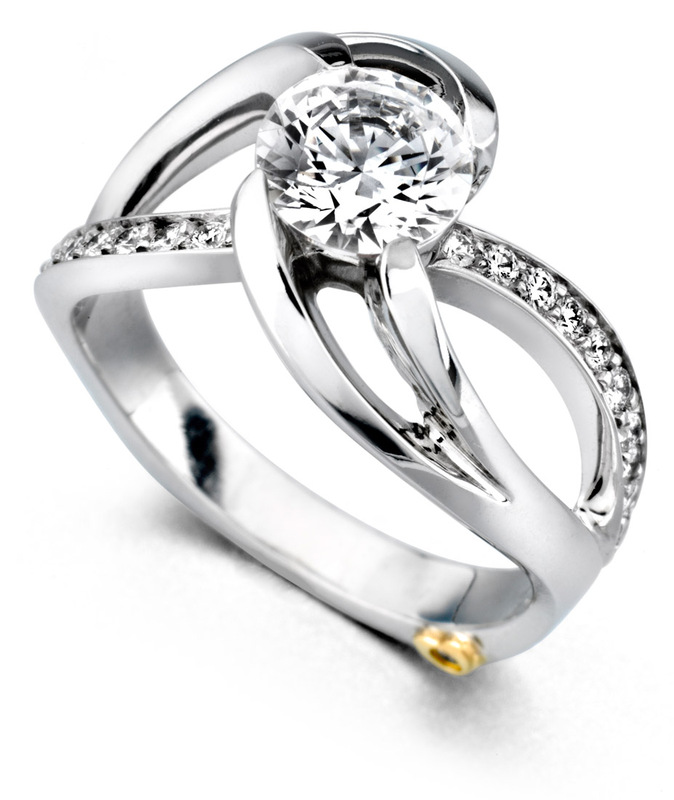 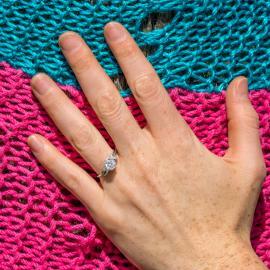 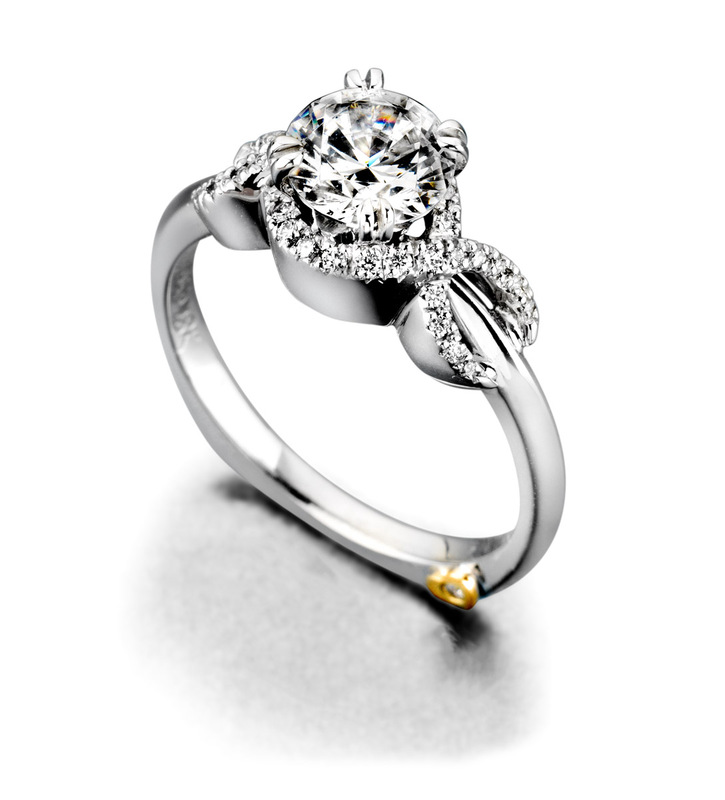 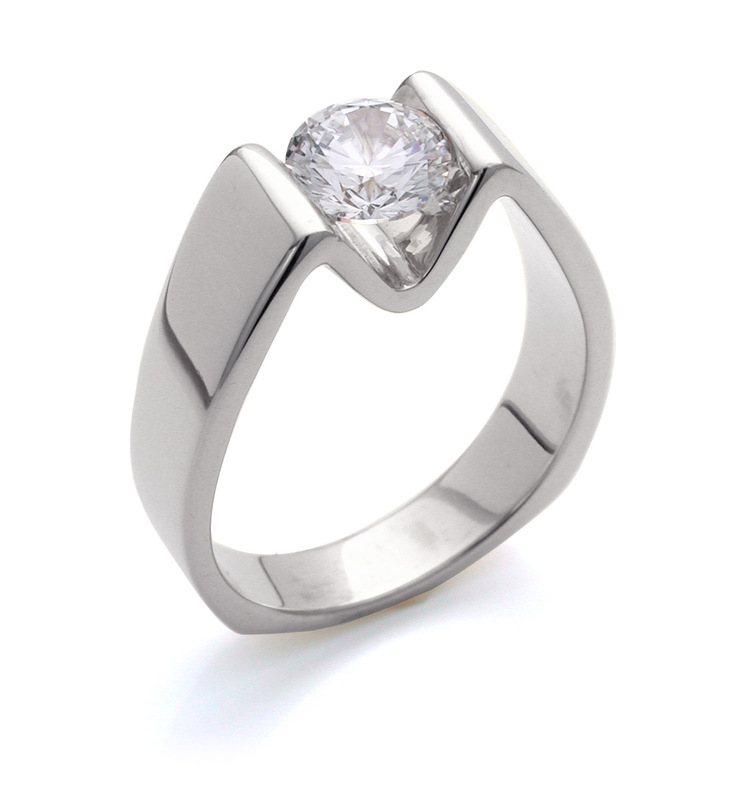 The continuity and elegance of this ring are what make it stand out from other designs.